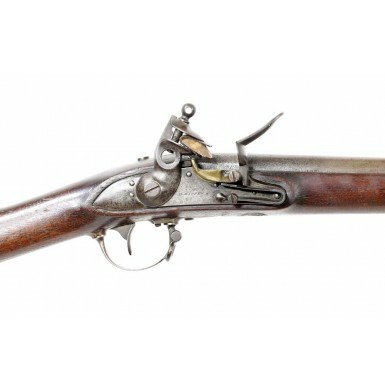 The US M1835/40 was the last flintlock musket to be adopted by the US military. While the official model approval took place in 1835, production did not commence until 1840, leading to some confusion regarding the actual model designation. Some references use M1835, some use M1840 and some use M1835/40. I have chosen the latter to indicate both the year of adoption and the year of initial production. 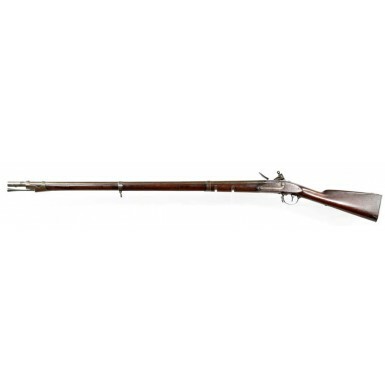 The M1835/40 was a .69 caliber smoothbore musket that was largely based upon the French M1822 Flintlock Musket and was a refined version of the earlier M1816/22/28 patterns that had preceded it. 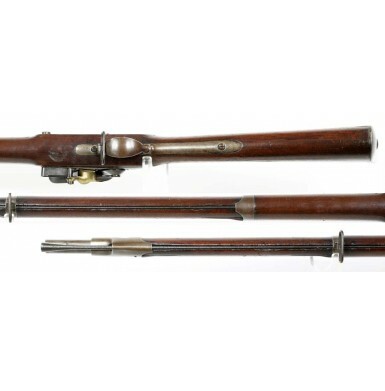 The M1835/40 was one of the shortest lived of official US infantry muskets, as it was very quickly replaced by the percussion ignition US M1842 musket, which was in many ways was nearly identical with the exception of the lock and ignition system. The M1835/40 was produced from 1840 to 1844 at the Springfield Armory in Massachusetts, with a total of 30,421 musket produced there. 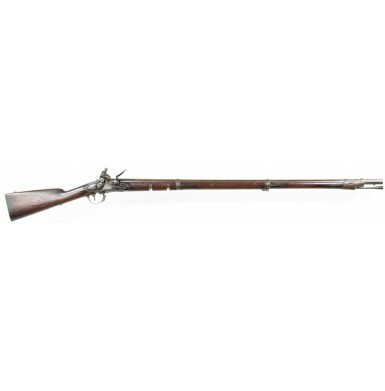 This musket model never went into production at Harpers Ferry, where the last variant of the M1816 Musket (the M1822/28) remained in production until the adoption of the M1842. During the production of the M1816/22/28 series of muskets, the Ordnance Department relied heavily on numerous contractors to produce the necessary muskets, particularly during the 1820s and 1830s. 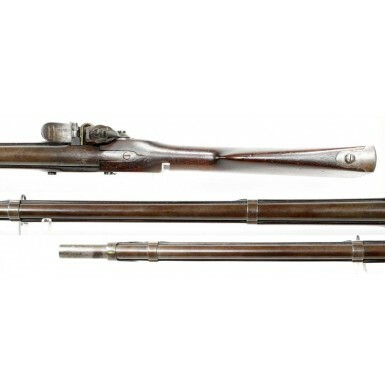 However, during the production run of the M1835/40, the Ordnance Department only contracted with two outside vendors to produce the new pattern of musket. The Daniel Nippes Company of Mill Creek, PA delivered 5,100 of the muskets from 1842-1848 and Lemuel Pomeroy of Pittsfield, MA delivered another 7,000 from 1840 to 1846. 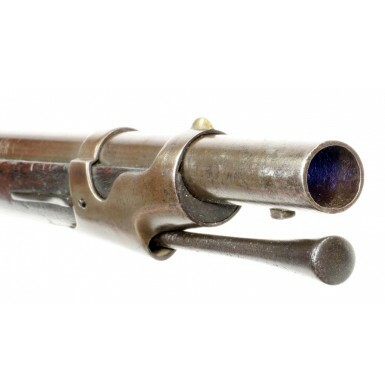 With the adoption of the percussion ignition system in 1842, the US Ordnance Department moved to quickly alter all the newest and best condition flintlock musket in storage around the country to the new percussion ignition system. 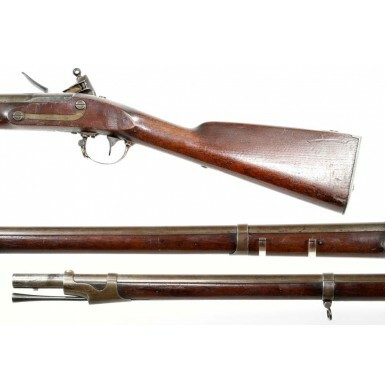 This meant that the M1835/40 muskets were all almost immediately altered to percussion. The large majority of the muskets were altered by the Belgian System better known as the Cone-in-Barrel system. Very few of the M1835/40 muskets had been issued, and most were sitting in various armories in pristine condition, having never been used. The Ordnance Department had long used a delivery system that required contractors to deliver their work to the nearest Federal Arsenal, to keep the cost of shipping to a minimum. This meant that Pomeroy contract arms were typically delivered to the Watervliet Arsenal in New York, and Nippes contract arms were usually delivered to the Frankford Arsenal in Philadelphia, PA. It was at these locations that the M1835/40 muskets delivered by the contractors were altered to percussion. The Pomeroy contract arms were altered between 1850 and 1851, using machinery that was installed at Watervliet in 1849. 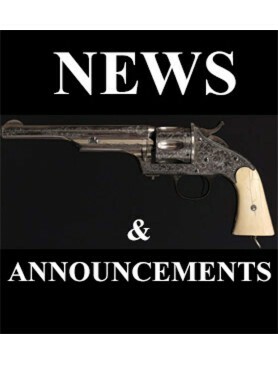 The Nippes contract M1835/40 muskets were altered in 1852 and 1853, after Frankford received the percussion alteration machinery that had previously been in use at the Watertown Arsenal. As a result, finding original flintlock configuration US M1835/40 muskets is very difficult. Offered here is a VERY GOOD+ condition example of a US M1835/40 Flintlock Musket produced by the smallest contractor, Daniel Nippes. As noted, Nippes only produced about 5,000 of these guns between 1842 and 1848. 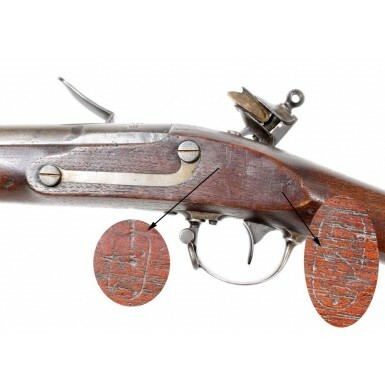 At first examination, the gun appears to be in its original flintlock configuration. Pulling the lock shows that the lock is certainly in original flint and has not been restored or altered in anyway. Matching inspections marks (a single capital I) are found throughout the interior of the lock. In fact, the gun was sold by one of the top auction houses in the country as an original flintlock configuration M1835/40 musket. However, the pattern of pitting around the breech area of the gun is not consistent with the kind of pitting found on flintlock arms, but rather is consistent with the pitting associated with percussion arms. This clue led me to examine the interior of the breech of the musket with a digital borescope. This revealed that the barrel of the gun had been a cone-in-barrel altered to percussion, which had been expertly restored to the appearance of its original flint configuration. The gun represents a sort of conundrum, as most "re-conversions" use parts to restore the lock and a restored barrel. 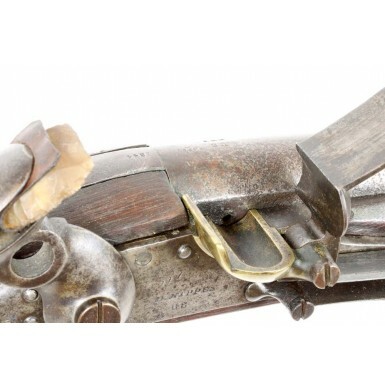 This gun only has a restored barrel and has a completely correct, original flint lock. The other interesting fact is that the gun appears to be all Nippes production and has a very nice matching patina that suggests it has been together in this configuration for a very long period of time. 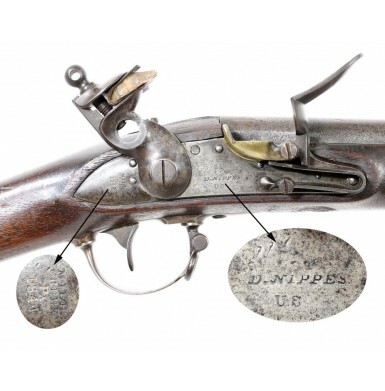 The gun is clearly marked on the lock plate with a D. NIPPES / U.S. forward of the hammer and vertically behind the lock in four lines: MILL / CREEK / PA / 1844. The tang of the barrel is marked with the matching date 1844 as well. 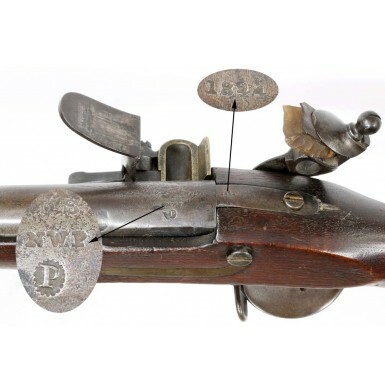 Nipppes delivered a total of 1,000 of this total of 5,100 M1835/40 muskets during 1844. The three-line breech marking of a U.S. / NWP / (Circle) P are extremely crisp and clear. The initials NWP were those of Springfield Armory sub-inspector Nahum W. Patch, who inspected contract arms during the 1830s and 1840s. Patch spent at least some time inspecting contract arms at the Nippes factory during each year between 1844 and 1847. The buttplate tang is crisply marked with the usual U.S.. The left flat of the stock shows relatively clear inspection cartouches; the script NWP of armory sub-inspector Nahum W. Patch as well as the final acceptance stamp of Ordnance Officer William Anderson Thornton, whose mark was a script WAT. 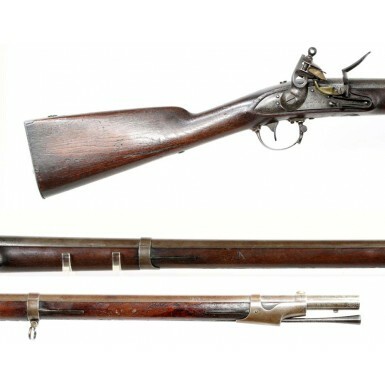 The musket remains in 100% complete and period original condition, with the only issue being the re-alteration of the barrel's breech from percussion to flint. The musket retains both of its original sling swivels, as well an original ramrod. 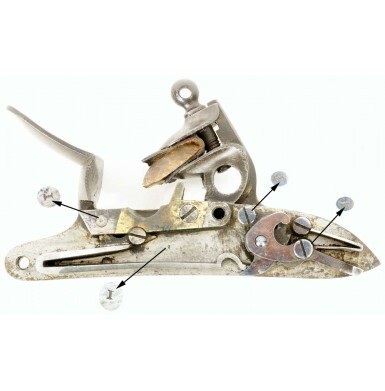 The rod is the correct trumpet shaped rammer and is full-length, retaining good threads at the end. The original brass blade front sight is in place on the upper barrel band as well. The lock of the musket functions crisply and correctly in every way and is mechanically excellent. The metal of the musket is mostly smooth with the exception of the breech that shows light to moderate pitting. The metal has a nicely toned and lightly oxidized brown age patina over a dull pewter-gray base color. There are scattered areas of minor surface oxidation and some pinpricking on the metal, but the only really significant pitting is around the breech area, with some light pitting near the muzzle and on the upper barrel band as well. Thankfully, the breech pitting has not obscured the inspection marks at the breech. Most of the iron furniture has a similarly oxidized patina to the balance of the gun. The bore of the musket rates about VERY GOOD. It remains partly bright with scattered light pitting and oxidation along its entire length. The stock of the musket is in about NEAR FINE condition. The stock is solid, full-length and free of any breaks or repairs. The stock remains relatively crisp and sharp throughout, with strong lines and edges and no indication of being sanded. As noted above, two good cartouches are present on the counterpane of the musket. The stock does show a moderate number of handling marks, bumps and dings, as would be expected. 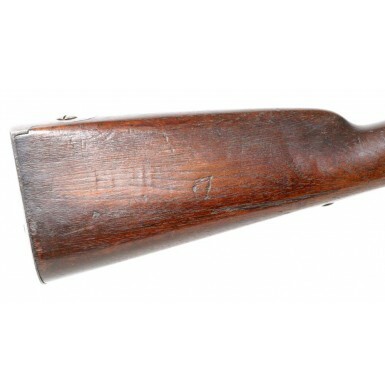 An old letter D is lightly carved upside down into the obverse buttstock. 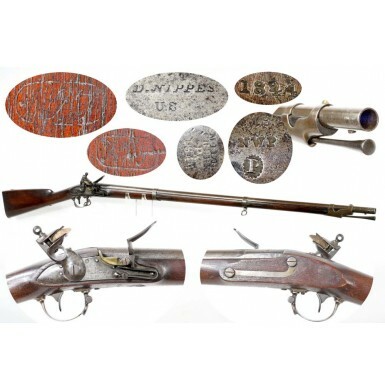 Overall this is a very nice, solid example of a rather scare Nippes Contract M1835/40 flintlock musket. Only about 5,100 of these guns produced, they are the scarcest of all the M1835/40 muskets. Nearly all of the M1845/40 muskets were altered to percussion, so finding an original flintlock M1835/40 musket is very much like finding the proverbial "needle in a haystack". 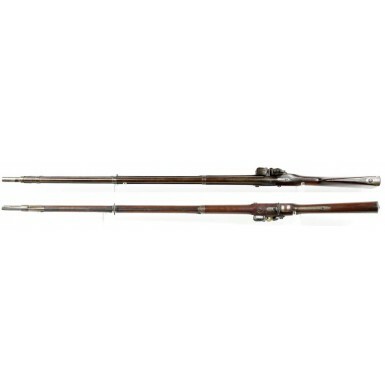 As such, fine condition original flintlock M1835/40 muskets often command prices into the low five-figure price range! This gun is not entirely original flint, in that the barrel has been re-converted. However, it does have an original flint lock, and the entire gun is of correct Nippes production with matching dates on the barrel and lock. As such, for the collector searching for a flint M1835/40, this is the closest you can get to an all original flint gun, but at a much more reasonable price. An original flint 1835/40 in this condition would cost at least twice what this one is priced at. The gun displays very well, and has a very nice, untouched look that would certainly pass as original flint under all but the most stringent and expert inspection.